French President Nicolas Sarkozy and U.S. President George W. Bush met Oct. 18 to discuss the possibility of a global financial summit. The meeting ended with an American offer to host a global summit in December modeled on the 1944 Bretton Woods system that founded the modern economic system. The Bretton Woods framework is one of the more misunderstood developments in human history. The conventional wisdom is that Bretton Woods crafted the modern international economic architecture, lashing the trading and currency systems to the gold standard to achieve global stability. To a certain degree, that is true. But the form that Bretton Woods took in the public mind is only a veneer. The real implications and meaning of Bretton Woods are a different story altogether. The origin of Bretton Woods lies in the Great Depression. As economic output dropped in the 1930s, governments worldwide adopted a swathe of protectionist, populist policies — import tariffs were particularly in vogue — that enervated international trade. In order to maintain employment, governments and firms alike encouraged ongoing production of goods even though mutual tariff walls prevented the sale of those goods abroad. As a result, prices for these goods dropped and deflation set in. Soon firms found that the prices they could reasonably charge for their goods had dropped below the costs of producing them. The reduction in profitability led to layoffs, which reduced demand for products in general, further reducing prices. Firms went out of business en masse, workers in the millions lost their jobs, demand withered, and prices followed suit. An effort designed originally to protect jobs (the tariffs) resulted in a deep, self-reinforcing deflationary spiral, and the variety of measures adopted to combat it — the New Deal included — could not seem to right the system. Economically, World War II was a godsend. The military effort generated demand for goods and labor. The goods part is pretty straightforward, but the labor issue is what really allowed the global economy to turn the corner. Obviously, the war effort required more workers to craft goods, whether bars of soap or aircraft carriers, but “workers” were also called upon to serve as soldiers. The war removed tens of millions of men from the labor force, shipping them off to — economically speaking — nonproductive endeavors. Sustained demand for goods combined with labor shortages raised prices, and as expectations for inflation rather than deflation set in, consumers became more willing to spend their money for fear it would be worth less in the future. The deflationary spiral was broken; supply and demand came back into balance. Policymakers of the time realized that the prosecution of the war had suspended the depression, but few were confident that the war had actually ended the conditions that made the depression possible. So in July 1944, 730 representatives from 44 different countries converged on a small ski village in New Hampshire to cobble together a system that would prevent additional depressions and — were one to occur — come up with a means of ending it shy of depending upon a world war. When all was said and done, the delegates agreed to a system of exchangeable currencies and broadly open rules of trade. The system would be based on the gold standard to prevent currency fluctuations, and a pair of institutions — what would become known as the International Monetary Fund (IMF) and the World Bank — would serve as guardians of the system’s financial and fiduciary particulars. The conventional wisdom is that Bretton Woods worked for a time, but that since the entire system was linked to gold, the limited availability of gold put an upper limit on what the new system could handle. As postwar economic activity expanded — but the supply of gold did not — that problem became so mammoth that the United States abandoned the gold standard in 1971. Most point to that period as the end of the Bretton Woods system. In fact, we are still using Bretton Woods, and while nothing that has been discussed to this point is wrong exactly, it is only part of the story. Think back to July 1944. The Normandy invasion was in its first month. The United Kingdom served as the staging ground, but with London exhausted, its military commitment to the operation was modest. While the tide of the war had clearly turned, there was much slogging ahead. It had become apparent that launching the invasion of Europe — much less sustaining it — was impossible without large-scale U.S. involvement. Similarly, the balance of forces on the Eastern Front radically favored the Soviets. While the particulars were, of course, open to debate, no one was so idealistic to think that after suffering at Nazi hands, the Soviets were simply going to withdraw from territory captured on their way to Berlin. The shape of the Cold War was already beginning to unfold. Between the United States and the Soviet Union, the rest of the modern world — namely, Europe — was going to either experience Soviet occupation or become a U.S. protectorate. At the core of that realization were twin challenges. For the Europeans, any hope they had of rebuilding was totally dependent upon U.S. willingness to remain engaged. Issues of Soviet attack aside, the war had decimated Europe, and the damage was only becoming worse with each inch of Nazi territory the Americans or Soviets conquered. The Continental states — and even the United Kingdom — were not simply economically spent and indebted but were, to be perfectly blunt, destitute. This was not World War I, where most of the fighting had occurred along a single series of trenches. This was blitzkrieg and saturation bombings, which left the Continent in ruins, and there was almost nothing left from which to rebuild. Simply avoiding mass starvation would be a challenge, and any rebuilding effort would be utterly dependent upon U.S. financing. The Europeans were willing to accept nearly whatever was on offer. For the United States, the issue was one of seizing a historic opportunity. Historically, the United States thought of the United Kingdom and France — with their maritime traditions — as more of a threat to U.S. interests than the largely land-based Soviet Union and Germany. Even World War I did not fully dispel this concern. (Japan, for its part, was always viewed as a hostile power.) The United States entered World War II late and the war did not occur on U.S. soil. So — uniquely among all the world’s major powers of the day — U.S. infrastructure and industrial capacity would emerge from the war larger (far, far larger) than when it entered. With its traditional rivals either already greatly weakened or well on their way to being so, the United States had the opportunity to set itself up as the core of the new order. In this, the United States faced the challenges of defending against the Soviet Union. The United States could not occupy Western Europe as it expected the Soviets to occupy Eastern Europe; it lacked the troops and was on the wrong side of the ocean. The United States had to have not just the participation of the Western Europeans in holding back the Soviet tide, it needed the Europeans to defer to American political and military demands — and to do so willingly. Considering the desperation and destitution of the Europeans, and the unprecedented and unparalleled U.S. economic strength, economic carrots were the obvious way to go. Put another way, Bretton Woods was part of a broader American effort to extend the wartime alliance — sans the Soviets — beyond Germany’s surrender. After all wars, there is the hope that alliances that have defeated a common enemy will continue to function to administer and maintain the peace. This happened at the Congress of Vienna and Versailles as well. Bretton Woods was more than an attempt to shape the global economic system, it was an effort to grow a military alliance into a broader U.S.-led and -dominated bloc to counter the Soviets. At Bretton Woods, the United States made itself the core of the new system, agreeing to become the trading partner of first and last resort. The United States would allow Europe near tariff-free access to its markets, and turn a blind eye to Europe’s own tariffs so long as they did not become too egregious — something that at least in part flew in the face of the Great Depression’s lessons. The sale of European goods in the United States would help Europe develop economically, and, in exchange, the United States would receive deference on political and military matters: NATO — the ultimate hedge against Soviet invasion — was born. The “free world” alliance would not consist of a series of equal states. Instead, it would consist of the United States and everyone else. The “everyone else” included shattered European economies, their impoverished colonies, independent successor states and so on. The truth was that Bretton Woods was less a compact of equals than a framework for economic relations within an unequal alliance against the Soviet Union. The foundation of Bretton Woods was American economic power — and the American interest in strengthening the economies of the rest of the world to immunize them from communism and build the containment of the Soviet Union. Almost immediately after the war, the United States began acting in ways that indicated that Bretton Woods was not — for itself at least — an economic program. When loans to fund Western Europe’s redevelopment failed to stimulate growth, those loans became grants, aka the Marshall Plan. Shortly thereafter, the United States — certainly to its economic loss — almost absentmindedly extended the benefits of Bretton Woods to any state involved on the American side of the Cold War, with Japan, South Korea and Taiwan signing up as its most enthusiastic participants. And fast-forwarding to when the world went off of the gold standard and Bretton Woods supposedly died, gold was actually replaced by the U.S. dollar. Far from dying, the political/military understanding that underpinned Bretton Woods had only become more entrenched. Whereas before, the greatest limiter was on the availability of gold, now it became — and remains — the whim of the U.S. government’s monetary authorities. For many of the states that will be attending what is already being dubbed Bretton Woods II, having this American centrality as such a key pillar of the system is the core of the problem. The fundamental principle of Bretton Woods was national sovereignty within a framework of relationships, ultimately guaranteed not just by American political power but by American economic power. Bretton Woods was not so much a system as a reality. American economic power dwarfed the rest of the noncommunist world, and guaranteed the stability of the international financial system. What the September financial crisis has shown is not that the basic financial system has changed, but what happens when the guarantor of the financial system itself undergoes a crisis. When the economic bubble in Japan — the world’s second-largest economy — burst in 1990-1991, it did not infect the rest of the world. Neither did the East Asian crisis in 1997, nor the ruble crisis of 1998. 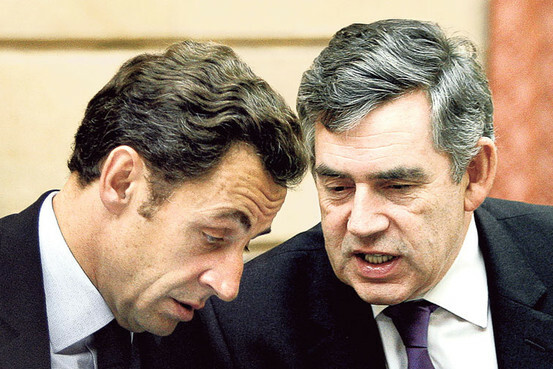 A crisis in France or the United Kingdom would similarly remain a local one. But a crisis in the U.S. economy becomes global. The fundamental reality of Bretton Woods remains unchanged: The U.S. economy remains the largest, and dysfunctions there affect the world. That is the reality of the international system, and that is ultimately what the French call for a new Bretton Woods is about. There has been talk of a meeting at which the United States gives up its place as the world’s reserve currency and primacy of the economic system. That is not what this meeting will be about, and certainly not what the French are after. The use of the dollar as world reserve currency is not based on an aggrandizing fiat, but the reality that the dollar alone has a global presence and trust. The euro, after all, is only a decade old, and is not backed either by sovereign taxing powers or by a central bank with vast authority. The European Central Bank (ECB) certainly steadies the European financial system, but it is the sovereign countries that define economic policies. As we have seen in the recent crisis, the ECB actually lacks the authority to regulate Europe’s banks. Relying on a currency that is not in the hands of a sovereign taxing power, but dependent on the political will of (so far) 15 countries with very different interests, does not make for a reliable reserve currency. The Europeans are not looking to challenge the reality of American power, they are looking to increase the degree to which the rest of the world can influence the dynamics of the American economy, with an eye toward limiting the ability of the Americans to accidentally destabilize the international financial system again. The French in particular look at the current crisis as the result of a failure in the U.S. regulatory system. And the Europeans certainly have a point. If fault is to be pinned, it is on the United States for letting the problem grow and grow until it triggered a liquidity crisis. The Bretton Woods institutions — specifically the IMF, which is supposed to serve the role of financial lighthouse and crisis manager — proved irrelevant to the problems the world is currently passing through. Indeed, all multinational institutions failed or, more precisely, have little to do with the financial system that was operating in 2008. The 64-year-old Bretton Woods agreement simply didn’t have anything to do with the current reality. Ultimately, the Europeans would like to see a shift in focus in the world of international economic interactions from strengthening the international trading system to controlling the international financial system. In practical terms, they want an oversight body that can guarantee that there won’t be a repeat of the current crisis. This would involve everything from regulations on accounting methods, to restrictions on what can and cannot be traded and by whom (offshore financial havens and hedge funds would definitely find their worlds circumscribed), to frameworks for global interventions. The net effect would be to create an international bureaucracy to oversee global financial markets. Fundamentally, the Europeans are not simply hoping to modernize Bretton Woods, but instead to Europeanize the American financial markets. This is ultimately not a financial question, but a political one. The French are trying to flip Bretton Woods from a system where the United States is the buttress of the international system to a situation where the United States remains the buttress but is more constrained by the broader international system. The European view is that this will help everybody. The American position is not yet framed and won’t be until the new president is in office. But it will be a very tough sell. For one, at its core the American problem is “simply” a liquidity freeze and one that is already thawing. Europe’s and East Asia’s recessions are bound to be deeper and longer lasting. So the United States is sure — no matter who takes over in January — to be less than keen about revamps of international processes in general. Far more important, any international system that oversees aspects of American finance would, by definition, not be under full American control, but under some sort of quasi-Brussels-like organization. And no American president is going to engage gleefully on that sort of topic. Unless something else is on offer. Bretton Woods was ultimately about the United States trading access to its economic might for political and military deference. The reality of American economic might remains. The question, then, is simple: What will the Europeans bring to the table with which to bargain? WASHINGTON — President Bush will convene leaders of 20 nations in Washington on Nov. 15 for an emergency summit meeting to discuss the economic crisis, the White House said Wednesday. But the session, coming less than two weeks after the presidential election, could put Mr. Bush on a collision course with his successor. The White House said Mr. Bush would “seek the input” of the president-elect, and both the Republican nominee, Senator John McCain, and the Democrat, Senator Barack Obama, praised Mr. Bush for convening the session. But neither man committed to attending, and the White House conceded it did not quite know how the meeting would play out. Sebastian Mallaby writes: Success at global finance summit hinges on China’s willingness to play role once taken by U.S.
Today it is the rising power that pursues mercantilist policies via its exchange rate. China’s leadership, which sits atop an astonishing $2 trillion in foreign-currency savings, could trade a promise to help recapitalize Western finance for an expanded role within the IMF. But China may simply not be interested. The future of the global monetary system depends on whether China aspires to play the role of Roosevelt — or whether it prefers to be a modern Churchill. Restructuring the International Financial System: A New Bretton Woods? Revolution is in the air – November 15 will decide the fate of the world economy. Our next President must attend. All hope rides on choosing the best president to lead the nation and world out of darkness. Thanks Jason, Gold is the thermometer of economies. Your figures show why the US dollar is now #2 after the Japanese Yen. Strong dollar, weak economy. US exports are falling because foreign buyers can’t afford our stuff anymore.